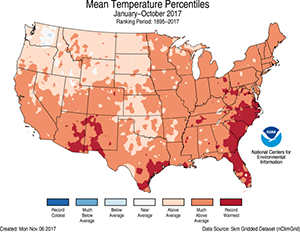 Ten months through 2017, most of the Southeast is still on a record-setting warm pace, even though the El Niño is long gone. 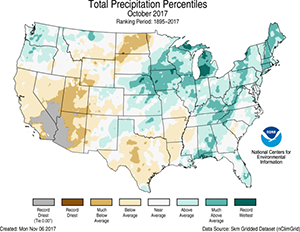 Rainfall overall has been very close to normal, although with above normal temperatures it’s not surprising that we’ve seen some dry soils across parts of the region. 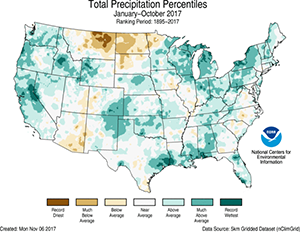 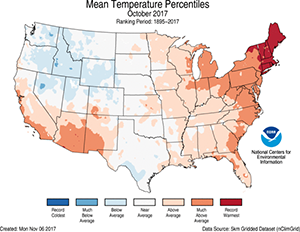 You can read more at https://www.ncei.noaa.gov/news/national-climate-201710.